Orthognathic Surgery involves correcting the jaw position so that both the top and bottom jaws align correctly with one another. It is not uncommon in cases of cleft palate for the top teeth to sit behind the bottom teeth. This creates issues for biting and chewing and also does not look normal, particularly when it comes to observing one’s profile. When there is only a minor discrepancy between top and bottom teeth, this may be able to be corrected by orthodontics, but in cases such as mine where there was a difference of almost 1cm, this needs to be corrected by a combination of orthodontic work and orthognathic surgery. What is Orthognathic Surgery and what did it involve? 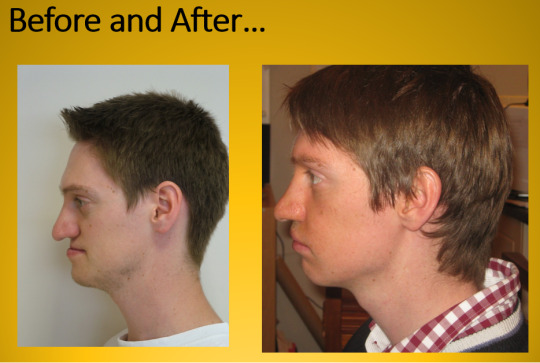 I began orthodontic work in August 2012, 2 years prior to undergoing the orthognathic surgery in Christchurch. Over this period of time, orthodontic work was designed to bring my teeth inline with one another on the vertical plane so that once the jaw position was corrected, they would articulate well with each other. As a result, in contrast to early teenage orthodontics, orthodontics in preparation for orthognathic surgery will involve both the top and bottom teeth. The technical name for the procedure that I underwent was a Le Fort I maxillary advancement osteotomy, with Le Fort I referring to a horizontal down-fracture of the midface immediately above the teeth and palate, as discovered (alongside Le Fort II and Le Fort III) by French physician René Le Fort in his 1901 Étude expérimentale sur les fractures de la mâchoire supérieure (experimental study of fractures of the upper jaw) when he took intact cadaver heads and delivered a blunt trauma to them to examine if the bones break in a predictable pattern (clearly the Human Tissues Act was not in effect in 1901!). He found that they did, and the Le Fort I forms the basis of this procedure. Maxillary advancement is pretty much as it sounds – bringing the maxilla (the eggshell shaped bone that holds the upper teeth and the hard palate) forward. Osteotomy refers to the surgical cutting of a bone. So if you put those three things together, you will have figured out that a Le Fort I maxillary advancement osteotomy involves cutting the maxilla bone to form a Le Fort I fracture and then advancing it. Sounds so simple, but in reality it is one of the most complex pieces of engineering you will ever witness (well assuming it all goes to plan, you won’t witness it as you’ll be asleep). One of the amazing things about this procedure, is that they manage to do it all without cutting the face – instead they make all the incisions on the inside of the mouth through incisions that run the length of the gumline. They also put in titanium plates and screws so that once the bone is placed into its new position, it can be held in that position whilst the bone heals around the plates. Although the jaws get wired together during surgery, this is removed by the time you come out of theatre. However, one has to wear elastic bands and/or powerchain from a couple of days post-operatively for a couple of months to help prevent the jaw from relapsing its position. These band the jaws together. As a result of jaws being wired together during surgery, it will be necessary for a nasal intubation as opposed to the traditional oral intubation. In my case, not only did the upper jaw need to be moved forward, but also to the right. The net result was an advancement of 5mm on the left side and 9mm on the right side. This has given more fullness to my face, put my top teeth ahead of the bottom teeth and fixed my profile so that there is no difference between top and bottom jaw when looking side on. A coincidental benefit of the soft tissues moving forward is that it has brought the tip of my nose up so it is straighter which is great. 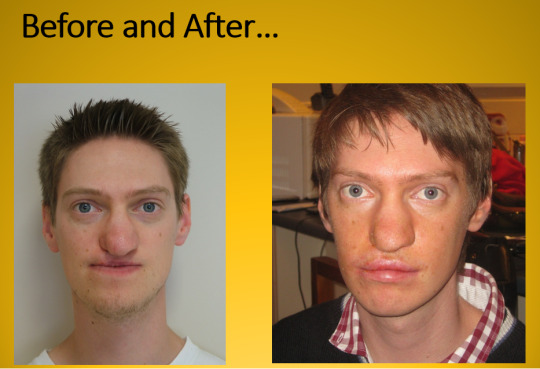 Surgeons also took the opportunity whilst doing the orthognathic surgery, to do a palate repair at the same time. Unlike the previous three attempts to repair it, for this attempt, they repaired it from the nasal end rather than the oral end which they were able to do after fracturing the jaw, allowing for access to the nasal cavity which is ordinarily unavailable when doing a palate repair. Unfortunately though, like the first three palate repairs, this one has not been particularly successful either. As a result of having effectively a broken jaw, one can expect to be nil by mouth for about a day and a half and to be IV fed instead. A wholly puréed diet will follow for about 8 weeks or so, and this is definitely one of the hardest things to adjust to. Following that you will slowly progress through textures such as minced and soft diets before working up to a normal diet over the course of up to a year. You can also expect to be completely numb in the midface from the lower eyelid to the lower lip – this is the result of necessary (and expected) nerve damage (to the maxillary branch of Cranial Nerve V for those who are interested). 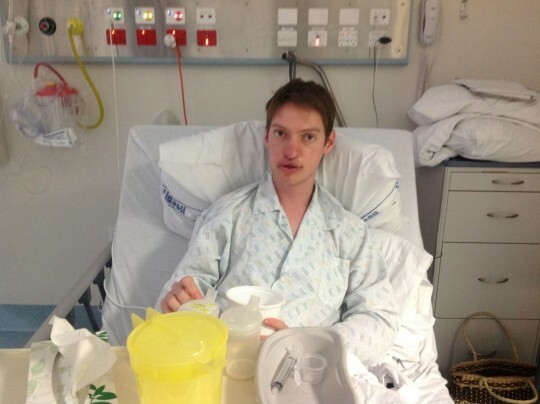 Nerves do regenerate but again this takes time, up to a year or more. It does feel weird – you initially need to get people to kiss you on the forehead or the chin if you want to feel it! Motor innervation to that part of the face is provided by a different nerve though (Cranial Nerve VII) which does not get damaged during this surgery, so you will be able to close your eyelids at night! You will have some movement in your upper lip too but due to swelling don’t be surprised that this is limited. Smiling and frowning will be two of the most difficult things to do. Speech will also be impacted for the worse initially. There are a number of reasons for this. Firstly, because everything has moved, your tongue needs to figure out where it’s now supposed to go and the brain needs to remap this. This job is made harder by the fact that the palate and upper teeth won’t have sensation to them. Despite this, the brain is incredibly quick at remapping this and within a day or two your tongue has figured out where it needs to go to make all those sounds. Secondly, the jaws are banded together. To talk properly, you need more movement of jaws – so you will sound different until those bands can come out. Thirdly, there is limited movement in that upper lip. Lip rounding or the absence of lip rounding is the discriminating feature of many vowel sounds – until you get movement back there, some vowel sounds are going to sound a bit different. Lastly, moving everything forward, including the soft palate, can mean that the soft palate is now too far forward to effectively prevent air going through the nasal cavity and may result in hypernasality. Unlike the first three which will resolve by themselves, this would need to be fixed at a later point in time by surgery. You will not know for a few months until all the swelling etc. has gone down before they can assess whether this is the cause of speech difficulties. Orthognathic surgery is the most major of surgeries associated with cleft lip and palate, and is only performed on adults, but it is important to note that not everyone will require it. Naturally, with it being the biggest procedure, it is also one that will make huge changes to one’s appearance. Whilst this truly is great, it does take a bit of getting used to as you will see someone quite different when you look at yourself in the mirror for the first time!